From gutter installation to gutter repair in Tucker, GA, Aaron’s Gutter & Restorations is proud to offer comprehensive residential rain gutter services. Here’s an overview of what we can do for your home’s rain gutters. 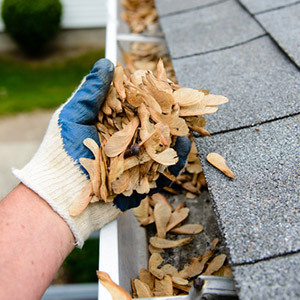 Gutter cleaning If you neglect your home gutters for too long, the buildup can cause rust, blockages and generally dirty and ineffective gutters. Let the team at Aaron’s Gutter & Restorations take care of this for you with our affordable gutter cleaning services. Gutter repair If your gutters are damaged or ineffective, you might be worried that you’ll have to invest in a whole new system. But our rain gutter repair in Tucker, GA has worked wonders on some of the most dilapidated gutters in town. Before you resign yourself to buying new gutters, call Aaron’s Gutter & Restorations for quick and friendly repair service. Galvanized steel This material has a life expectancy of 10 years and affords popular savings for homeowners and builders. Because of its tendency to easily damage and rust, it requires special handling to paint and install. Pre-finished aluminum Available in seven colors and boasting a life expectancy of 20 years, pre-finished aluminum is a popular choice for both homeowners and contractors. Generally referred to as “k” style, pre-finished aluminum comes in .027 gauge to .034 gauge and in sizes of five and six inches. Copper Copper comes in half-round shape as well as the “k” style. Although more expensive, copper has a life expectancy of 80 years and is great for houses and buildings that have a lot of character.